Welcome to Orlando Vintage Clothing and Costumes! Not only do we have one of the largest and best quality selections of vintage clothing in the Central Florida area...we also have a HUGE selection of rental costumes. With thousands of items from which to choose, we have something from nearly every period of clothing to suit your costume needs! Our inventory includes costumes from the biblical era all the way through to the 1980s. Our costume stock is made up of mostly true vintage and theatrical quality costumes so you are getting the best quality for your money. If you would like to find out about sizing, pricing or options, please feel free to call us at 407-599-7225 or come in during business hours and one of our talented staff will be happy to assist you! Please see a detailed list below of the periods we offer. Biblical/Greco Roman (BCE - 1300 AD) - Shepherds, wise men, Jesus, Mary, and Joseph!, Roman soldiers,Cleopatra and Caesar available for rent. Medieval/Renaissance (1300 AD - 1500 AD) - Peasants, princesses, knights and kings from the times of Leonardo Di Vinci, Galileo and “Ever After. Tudor/Elizabethan (1500 AD - 1600 AD) - Heavy gowns and men’s doublets and breeches from the times of King Henry VIII, Shakespeare, and Elizabeth I.
Jacobean/Georgian (1600 AD - 1815 AD) - Colonial costumes for men, women, and children from the time of the Pilgrims through to the Revolutionary War. Think Mozart, George Washington, Ben Franklin, Marie Antoinette! Regency (1815 - 1840) - We have dresses from the time of Beethoven, Napoleon and Les Miserable for rent, as well as men’s jackets, breeches and waist coats of the period. Victorian/Edwardian (1840 - 1915) - Dress in the time of southern belles, Dickens, Queen Victoria, Dracula, Steam Punk, Titanic, Downton Abbey and more! We have bustled dresses, high necked blouses, lace dresses, skirts, petticoats and more for women, as well as a large selection of tailcoats, waist coats, pants, and hats for men. 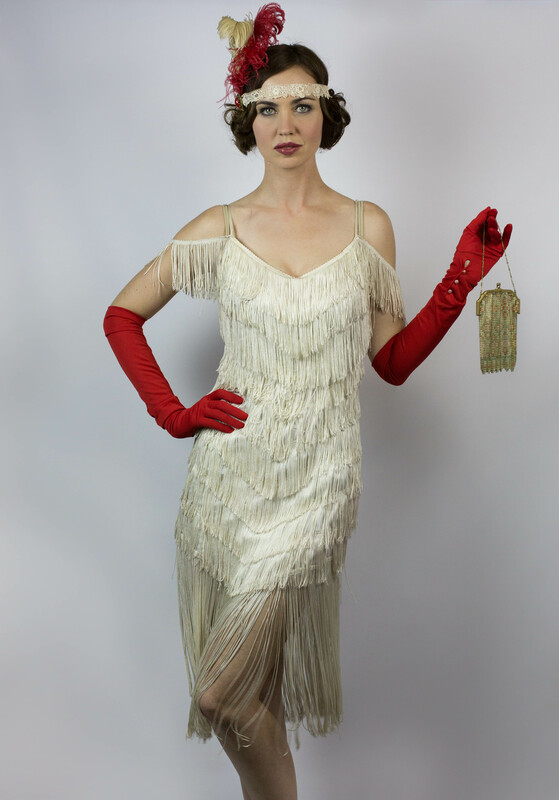 Roaring 20s - We rent a large selection of items for all your Gatsby-inspired needs including dresses--day, flapper, and beaded--as well as headpieces, hats and men’s wear such as suits, pants, vests, hats, ties, and all the necessary accessories to complete your look. Fabulous 50s - Looking for something to wear to your next sock hop? Look no further! We have poodle skirts, leather jackets, switchblade combs, saddle shoes and more! Trippy 60s/70s - We have a polyester paradise for you to choose from! Our inventory is stocked with vintage and reproduction items for both men and women including dresses--both mini and long--jumpsuits, go-go boots, caftans, dashikis, Polyester pants, groovy shirts, leisure suits, platform shoes and more! Rockin’ 80s - We’ve got men’s and women’s wear that range from the funky punky styles of Cindy Lauper and Madonna to the sleek and sophisticated style of an early Michelle Pfeiffer all the way to a groupie for Poison! Also available are men’s styles which are equally diverse. We’ve got a great selection of items for rent and for sale to make or simply complete your perfect 80s costume. Movie/TV - We have a large selection of costumes from film and television including super heroes (Superman, Batman, Catwoman, the Joker, and Spiderman), cult classics (Rocky Horror, Star Trek, Star Wars) and fantasy (storybook characters, horror film favorites). Mascots - We also have a large variety of hard and soft head mascot costumes for rent! The selection includes most animals including cats, birds, bears, horses and a few seasonal options! Seasonal Costumes - For Thanksgiving, we have both indian and pilgrim costumes and turkey mascots. We have over 50 Santa Claus costumes in stock and a good collection of Mrs. Claus and elves for the Christmas season. For Saint Patrick's Day, we have leprechaun costumes. We have over 50 Easter bunnies in various colors of white, pink, blue and yellow available for rent. For the 4th of July, we have Uncle Sam and the Statue of Liberty. We also offer a wide range of accessories such as wigs, glasses, hats, headpieces, boas, and jewelry to take your look to the next level! WE HAVE THOUSANDS OF COSTUMES IN STOCK! PLEASE CALL US FOR SPECIFIC COSTUMES AT 407-599-7225 DURING OUR REGULAR BUSINESS HOURS!